It has been raining for 3 weeks here in Richmond and it's put a real damper on spring date nights in my house. The BF and I get tired of the same old dinner date every week so I recently decided to switch it up with a movie night in the comfort of our own home. One of our first dates (6 years ago!) was to the movies so this feels like the perfect way to pay homage to that. 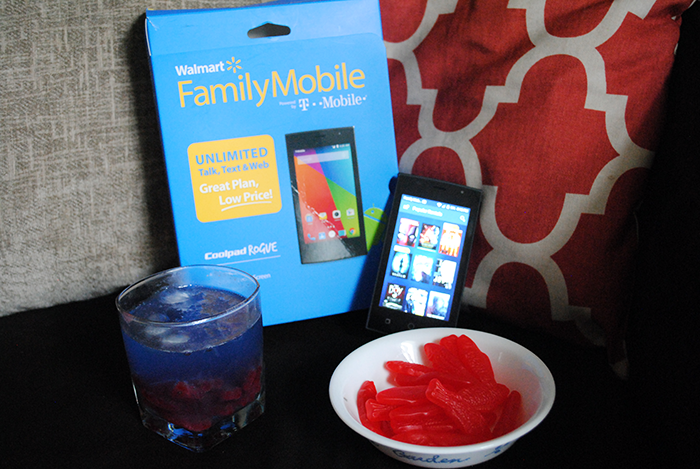 Keep reading to see how I plan the best movie night and keep up wit my favorite blogs with the help of Walmart Family Mobile and Swedish Fish! With the Walmart Family Mobile PLUS Plan I can get unlimited talk, text, and data so I can stay connected with my BF and blog at all times. This plan also includes 10GB of 4G LTE data and one free new release rental each month from VUDU - a $7 value for only $49.88 a month per line! With the terrible weather we've been having here I decided to use the free rental to plan an epic date night at home for the two of us. A movie date night wouldn't be complete without snacks so I use my unlimited texts to send the BF a quick message to pick up some Swedish Fish and a couple more items on the way home. Check your closest Walmart for the 1.9lb bag of Swedish Fish display featured below! 1 bag Family Size Swedish Fish (the Red variety 1.9lb bag) - It has all new packaging so new look, same fish! 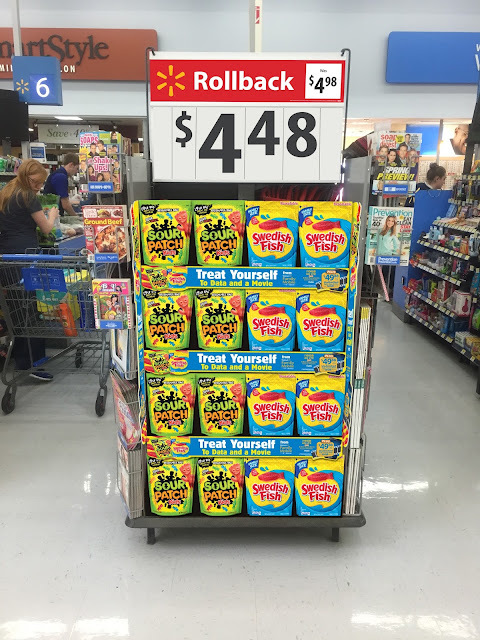 They're currently on rollback at Walmart for $4.48. I only use a couple handfuls and save the rest for snacking throughout the week. 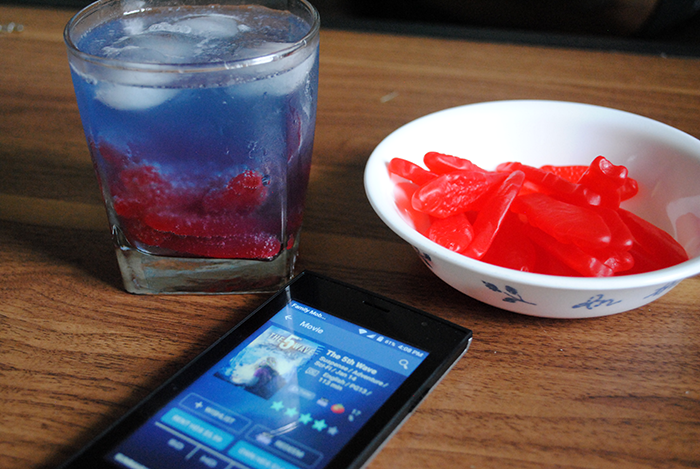 I also pour a few Swedish Fish into a bowl so we have more to snack on. I told you guys this recipe was easy! This would also be a great treat for a movie night with family and friends because you can add tons of other ingredients depending on your audience. The movie I chose for us to watch was The 5th Wave on our SmartTV. It doesn't exactly have anything to do with waves or the ocean, but I thought the Surf's Up Mocktails would be a funny play on the title. We love watching action-thriller movies and this one did not disappoint! It featured a few familiar faces from my favorite TV shows and movies and we love to talk about where we've seen the actors before. If we ever get stumped on a tough one it's great that I can use my 10GB of 4G LTE data and quickly find the answer. This plan not only amplifies our entertainment, but it also allowed us to enjoy a quiet date at home. 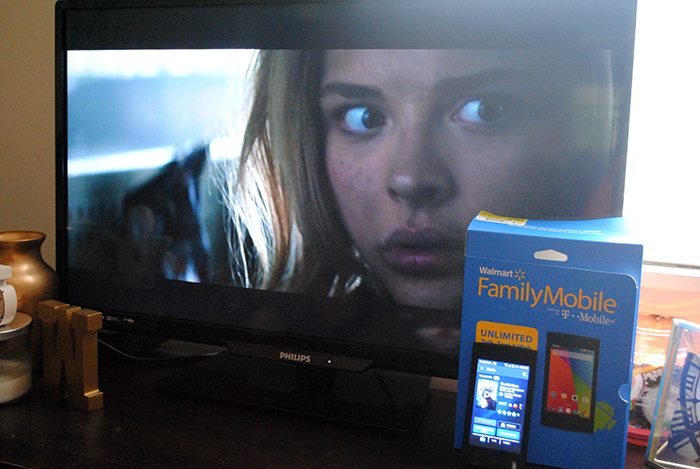 What I love about the Walmart Family Mobile PLUS Plan is that it keeps me connected on the go. Working a full-time job and blogging on the side isn't the easiest thing on the planet so having a mobile plan that makes life easier is a win in my book. My Coolpad Rogue is great for checking social media, blog stats, emails, and my favorite YouTube videos. The BF and I commute to work together 4 days out of the week and my Coolpad Rogue keeps me (and him!) entertained during the long drives. This phone is jam-packed with tons of great features such as 4G capability and a 2MP camera. It's currently on rollback for $19.88 (originally $39.83) - a major steal! After purchasing the phone I also needed to purchase the Starter Kit and it's also on rollback for $19.88 (originally $25) for the first time ever and until July 7th! Disclaimer: All phones and prices in this post are accurate as of the date of posting; however, these prices are subject to change. Please refer to http://cbi.as/3nukn or your local Walmart for pricing. 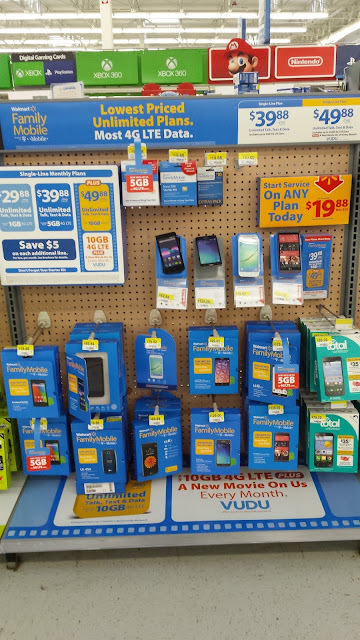 Head over to your local Walmart and grab one of these great phones and an awesome plan for yourself. If you visit the Walmart Family Mobile Social Hub http://cbi.as/3nukn you can find out when a rep will be able to assist you. 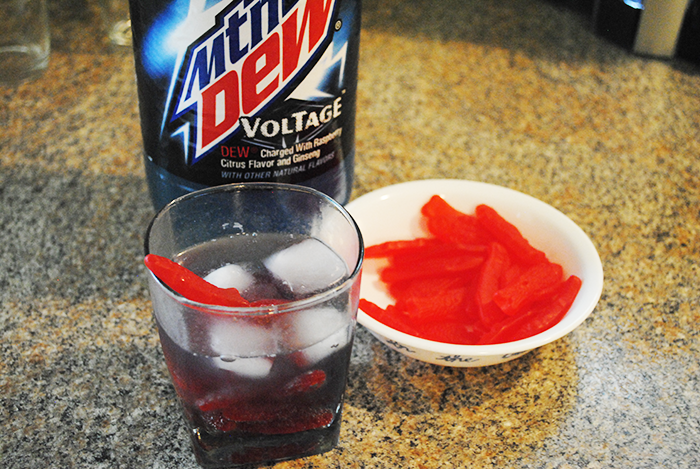 They will also have free samples of Swedish Fish on site. 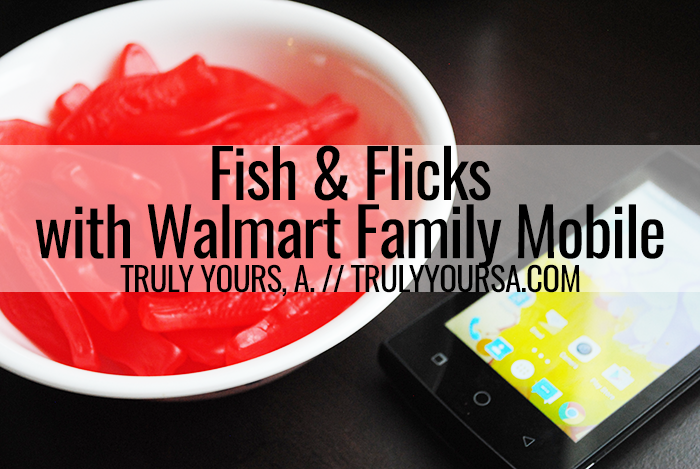 How would you use Walmart Family Mobile Fish and Flicks to plan a movie night for your family? Let me know in the comments below!